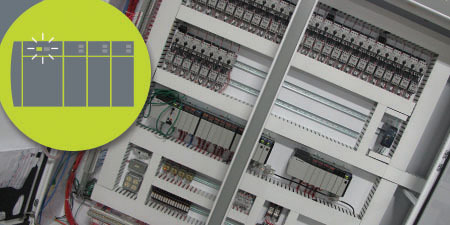 Pyramid | Pre-engineered, Plug & play, PLC-based applications controls. Pre-engineered software products for your PLC-based application. Today’s DC environments can be challenging, what with the ever-increasing demands for higher levels of throughput, efficiency, accuracy and visibility in both inventory control and order processing. To help you meet these challenges, the Pyramid Controller family of software products features an extensive suite of pre-engineered, robust, reliable and time-tested programmable logic controller (PLC)-based applications. Engineered and developed by Pyramid, the Controller suite incorporates our extensive experience implementing controls for a broad array of different material handling technologies, OEMs and customer applications. Controls sorting of cases, cartons, totes and other units over a broad range of MHE technologies including slat/shoe, pop-up wheel, swivel wheel, transfer and more. 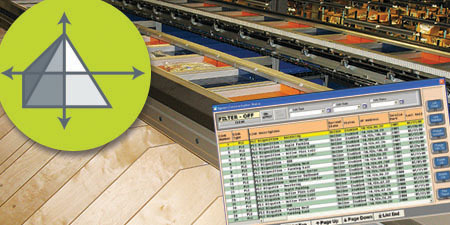 Controls sorting of units or other individual articles of inventory over more advanced sorting technologies, such as cross-belt, tilt-tray, bombay and others. Controls the automatic identification (auto-ID) of unitized product or other inventory units and their induction onto sorters, emphasizing optimal sorting accuracy and throughput. 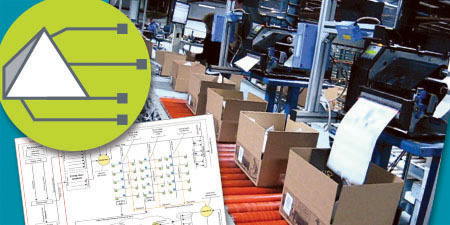 Controls complex, high speed merging of cases, cartons, totes and other units from multiple sources, including feather, zipper, slug-build-and-release, saw-tooth and other forms of advanced merge technology. Controls auto-ID, on-the-fly print/apply of compliance, carrier standard or other customer specific labels, and full process verification to ensure accuracy.